DANVILLE & CYNTHIANA Pain travels. And now, so do the doctors of Bux & Bux Pain Clinic. Three days a week, providers from the Danville-based group travel to Cynthiana to operate a pain clinic located within Harrison Memorial Hospital. In the summer of 2015, Anjum Bux, MD, who operates Bux & Bux Pain Clinic with his father Madar Bux, MD, was approached by Pain Management Group (PMG), a pain clinic management partner with Harrison Memorial Hospital in Cynthiana, Ky. PMG was looking for a provider to run the pain clinic. Bux accepted that role. “We are operating 3 days a week in Cynthiana and doing everything including epidural injections, joint injections, spinal cord stimulators, intrathecal pain pumps and medication management,” says Bux. “We get patients from Georgetown, Harrison County, and even Lexington. Again, it gives us the opportunity to spread out and expand our services to different areas. There certainly is a need in the area,” Bux says, noting that they already see over 1,000 patients in Cynthiana. 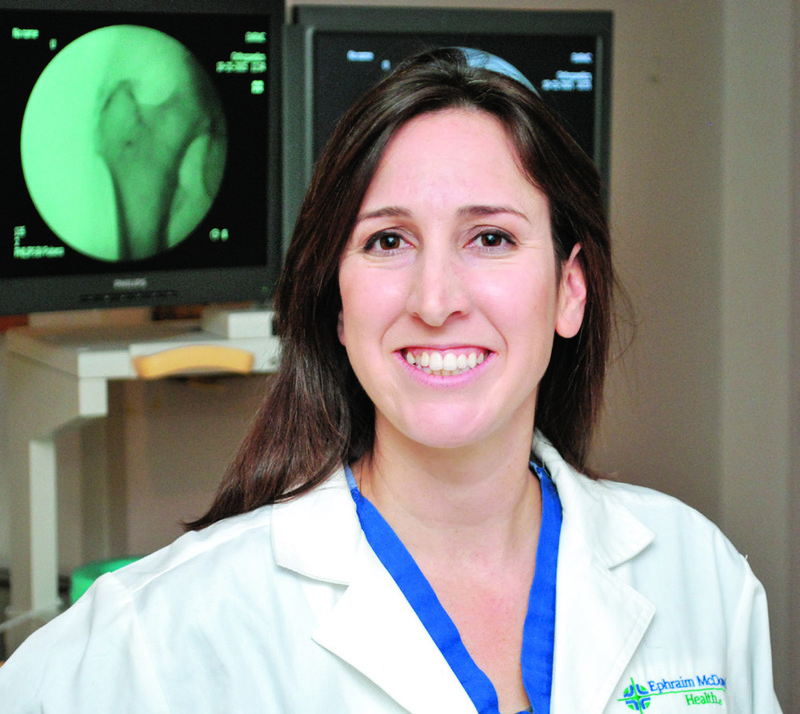 One of the newest members of the Bux & Bux Pain Clinic group is Cristina Lamar, DO. She works in Cynthiana on Mondays and Fridays and operates out of Danville the rest of the week at the Bux & Bux Pain Clinic. Lamar joined the practice in mid-August of 2015 after completing her fellowship through the University of Kentucky (UK) at Good Samaritan Hospital. A native of Georgia, Lamar completed her undergraduate work at the University of Georgia before attending the Philadelphia College of Osteopathic Medicine in Georgia. Lamar, whose husband is from Harrodsburg, Ky., completed her residency in anesthesia at UK. Lamar’s interest in pain began even before medical school when she was a medical assistant at Atlanta Orthopedics. 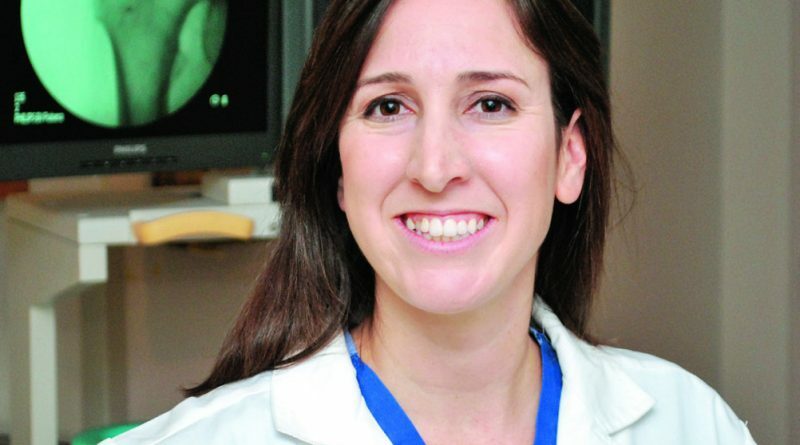 There she assisted Dr. Amy Lang, who was fellowship-trained in pain management, and introduced Lamar to that field. Lamar’s doctor of osteopathy training allows her to bring a different approach to evaluating her patients and understanding how disease, dysfunction, and disorder in one part of the body affects another part. “Osteopathic manipulative medicine can also be applied in pain medicine in various ways, especially in patients with myofascial pain syndrome,” Lamar says. She adds that manipulative medicine can help with muscular pain, spasms, and inflammation, as well as gentle manipulation of the arthritic joints or joints that are out of place and out of alignment. A high percentage of the patients coming to the Bux & Bux Pain Clinic suffer from conditions such as complex regional pain syndrome, back pain, and compression fractures. These are often candidates for intrathecal pain pumps. Because of the potentially negative side effects of high doses of opioid pain medications, Bux & Bux Pain Clinic operates with a low-dose opioid prescription philosophy. The preference instead is to focus on the patient’s overall condition and look for other means to pain reduction. New methods to achieve that goal are here or are fast approaching. Ultrasound-guided joint injections and ultrasound-guided neuraxial techniques can help improve accuracy in administration of targeted pain blockers. “With new techniques and treatments for chronic pain,” Bux says, “we look forward to employing a multi modality treatment approach to help people better manage their pain.” Expanding services throughout Central Kentucky, Bux and Bux Pain Clinic continues to employ a family type atmosphere in treating their patients providing better options in dealing with their chronic pain.